One of my favorite things about being a wedding photographer is seeing newest trends and the amazing innovative wedding companies that are bringing brides the COOLEST tools to help them with planning. So today i'm share one of my top recommendations when it comes to wedding invitations and other things you probably had no idea existed....ready? Let's go! Ok, when I first arrive at a wedding, one of the first things I photograph are the details. Think- rings, jewelry, flowers and of course....your invitation! 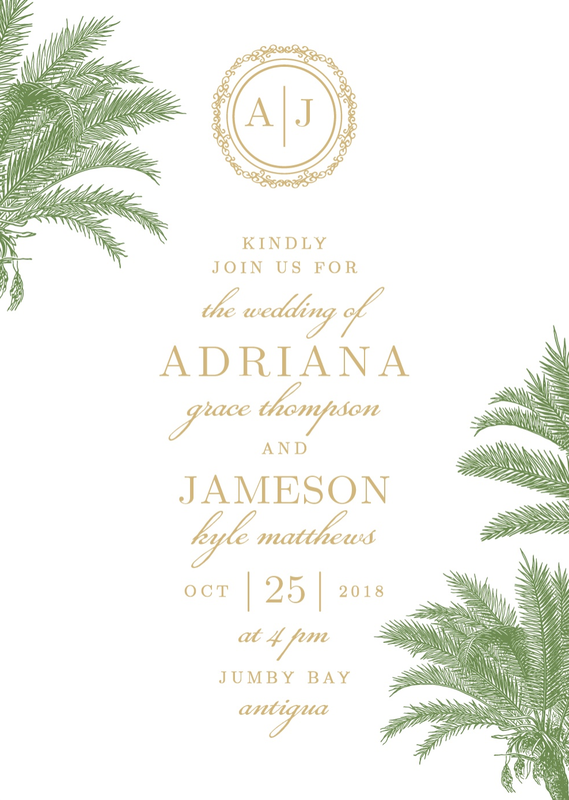 With each year that goes by, I see more brides putting a personalized twist on their wedding invitation. Instead of having a crisp white and formal invitation, brides are choosing bolder colors and patterns to tie into their wedding scheme. I've even seen brides use their wedding invitation as a point of inspiration for their wedding decor and colors. And I LOVE it! Here are some of my favorite invitation trends i've seen this summer! I am loving these beach vibes and palm branch patterns. Very Lilly Pulitzer! These next tips are for brides who are currently planning....listen up cause this is going to change your life! I seriously wish these ideas were around when we got married. I'm so excited to share these ideas and tips! Seeing is believing! Basic Invite is one of the few websites that allows customers the ability to order a printed sample of their actual invitation so they can see exactly how it will print as well as the paper quality before they ever have to place their final order. I know I am such a visual decision maker - this has to be so helpful to see the invitation in person. Love it! Basic Invite also has FREE wedding websites that are completely customizable just like their wedding invitations! These wedding websites are mobile friendly and super easy to use. You can instantly upload all of your wedding details along with images and a map with directions which is super convenient for your guests. Choose from 180 custom colors and even choose a design to match your wedding invitation suite! How cool is that!? So excited to photograph more of these beautiful invitations this year as wedding season begins. I can't wait to see all the colors and styles that perfectly match each couples personalities. Follow along to see more invitation trends! I seriously love them all!